Padanjali Ayurvedics is an exclusive Skin Treatment Centre located at Kuttipuram in Malapuram district of Kerala. Cheeramathil Puthan Veetil Parameswaran Nair setup Padanjali in December 1995 after much compulsion from patients and Mr. M.T. Vasudevan Nair, a renowned Indian writer and Njanapeedam Award Winner. Based on Ayurvedic Systems we provide skin treatments for keloids, burns, burn scars, skin irritation, sunburn, chicken pox scars, operation marks, wound care, old wounds, diabetic ulcers, diabetic non healing wounds, leukoderma (vitiligo), psoriasis, eczema and itching. Our dedication to excellence in ayurvedic skin care treatments and our specific health concerns to offer unique scheme for the mankind make us move forward with our pursuit to bring preventive and curative formulas of ayurveda into the limelight. Treatment at Padanjali Ayurvedics is solely based on Ayurvedic practices that base on bodily constitution, mental make up, diet pattern and work schedule. We preserve the same, in the preparation of our skin treatment medicine “Agnijith”. The medicine is being manufactured by a GMP (Good Manufacturing Practices) certified company that ensures quality and efficacy as per the international standards. 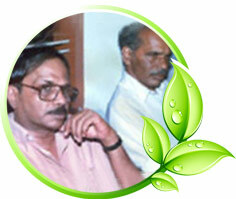 Padanjali has no branches or agents and treatment is only offered directly to the patients. Patients who wish to avail the services of Padanjali shall either visit our treatment centre at Malappuram or contact us over the phone or e-mail with their details. At Padanjali Ayurvedics, we provide inpatient and outpatient treatment facility that help local as well as foreign patients to start the treatment easily after the initial consultation with our doctor over telephone or by mail. All our efforts are primarily focused in making our patients’ living better and confident.